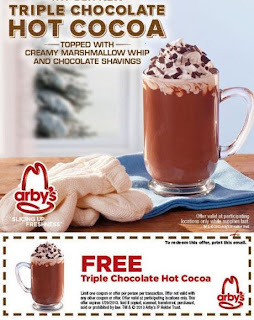 Free at Arby's Triple Chocolate Hot Coca topped with creamy Marshmallow whip & chocolate shavings. Print the coupon and take it to your nearest Arby's to redeem. Offer expires 1/28/13.